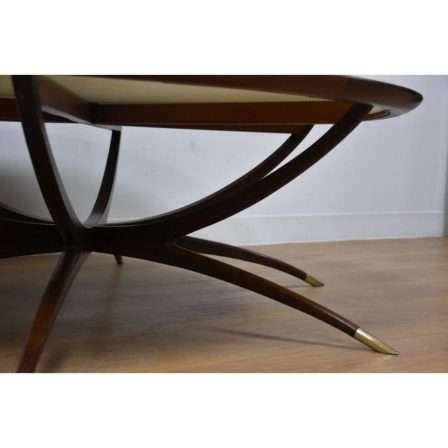 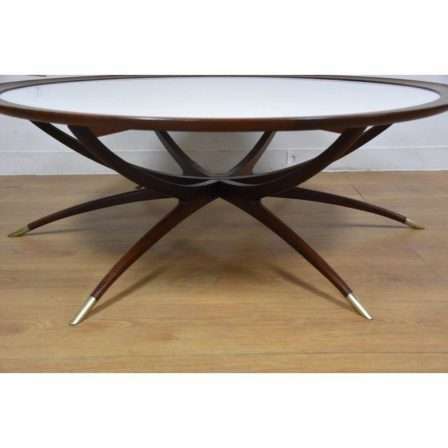 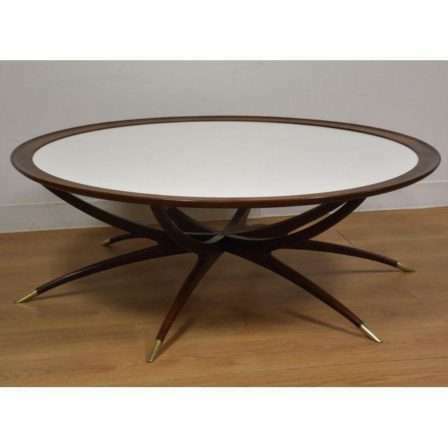 Description:A mid century modern walnut coffee table with 6 spider- like sleek legs all capped with polished brass ferules. 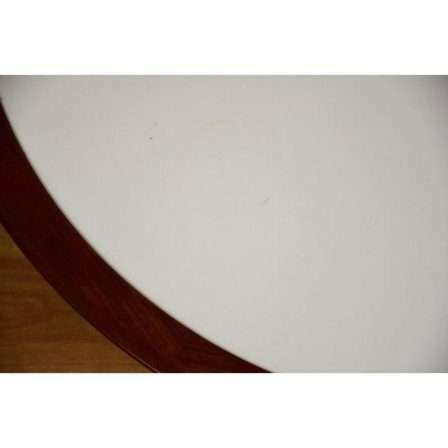 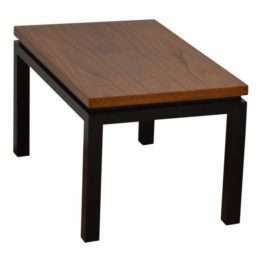 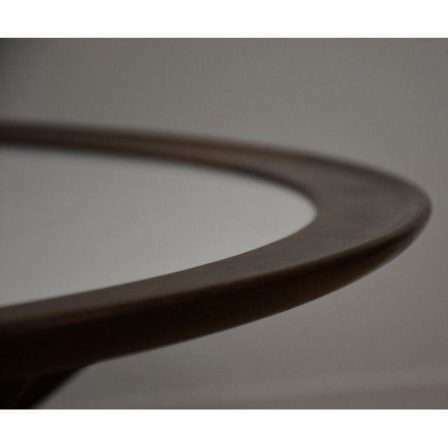 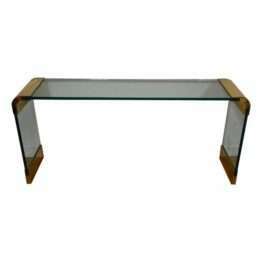 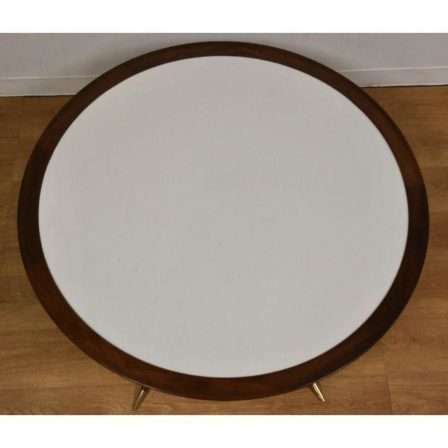 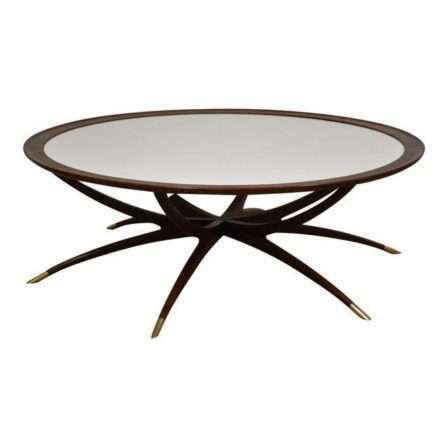 This table comes with a circular white glass top with a walnut border. 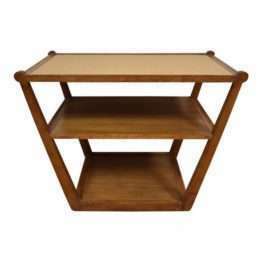 The base has hinges that allows it to fold up for easy storage. 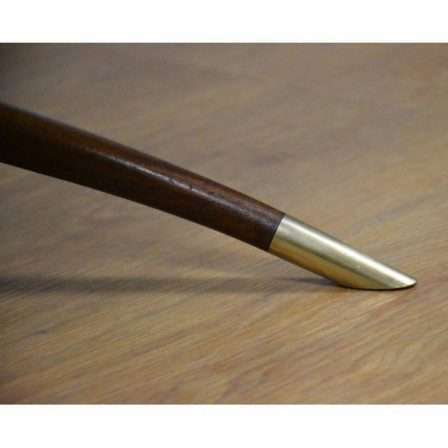 Marked made in Denmark.